im looking for a dark spiderman fig. Is anybody interested in a large number of skrulls? I've got 4 now, but I'd get more if somebody was wanting them. I'm not sure if the skrull fad has passed on or not. I'm looking for a loose red Hulk from the Avengers 3 pack, anyone got him? Anyone have an extra Professor X or BagHead Spidey from MU? Let me know, maybe we can work out a buy or trade. I'm tired of playing the ebay game. i would trade some of ML series 3 (everyones available except Deadpool) if youd entertain my wants in my BST?! Looking for the Paper Bag Spidey! 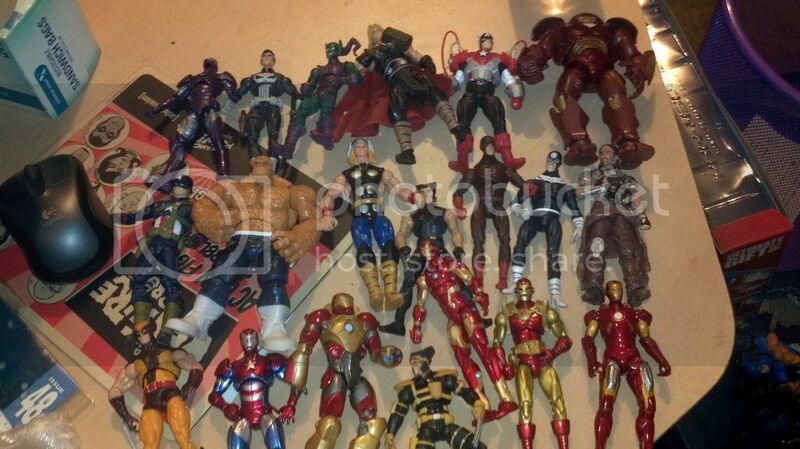 Looking for: Domino from ML 2pack, ML xforce SDCC boxset, ML Thorbuster variant Destroyer, Deadpool (xmen suit) from 2pack, Warpath xforce suit from 2pack, Dragonman *doubtful, MS movie version IronMan and WarMachine, Revoltech IronMan., Iron Man movies series 6'': satelite armour both versions, cap suit, 3pack, stealth iron monger, gold mark I, and a few others. Complete Fin Fang Foom, Giantman BAF pieces or complete. 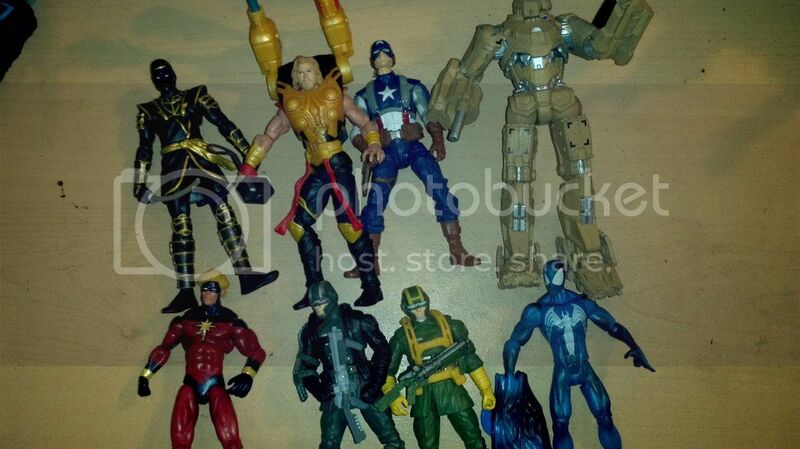 From ROML: Clear shield steve rogers, red flame ghostrider, might need some Terrax parts, and madam masaque. Last edited by behindthemask; 09-24-2012 at 02:04 PM.. Looking for fin fang foom baf pieces except the one that came with savage grey hulk. Thanks for advance help. Thanks alot sir. That helped me out cause im just using my phone to browse here. Appreciate your reply. Uchicha has a spare Helicarrier up for sale on ShelfLife...bought the Master of Evil pack off of him, arrived on time/no damage, etc. I am looking for a BAF Ares and I have a ML 2 pack Deadpool (X-men costume) and Warpath (Red Costume) to trade and negotiate price with. Interested in selling me the 2pack and putting the $$ towards Ares? lol I really just want Deadpool. I need a Bag Head Spidey soooooooooooooooo bad!!! looking for BAF apocalypse (both black and blue). have all 3 marvel select Thor figures and lots of monster fighter legos if interested? Do not fret. It will be repacked one per case in wave 21. If you wait, you'll either find it in store or get one for $20 on eBay. That's what I'm doing.